March 1 marks the 50th anniversary of what has been called the nation’s first major mass protest against racism by Mexican-Americans. More than 15,000 students from Roosevelt, Wilson, Garfield, Lincoln, and Belmont high schools walked out of their classrooms to challenge the inequalities in Los Angeles public schools. Fifty years later, their bold action has reaped educational gains for Latinos, but they haven’t come fast enough, advocates say. There’s not a single county in California where a majority of Latino students are proficient in math or English language arts, according to The Majority Report, released last fall by Education Trust—West. Statewide, Latino students’ test scores dropped last year, to only 17 percent proficient in math and 26 percent in English. They wanted new schools and better facilities, without overcrowding. It took nearly 50 years to get there, but just this year, the last of the schools built under a $20 billion school-building program opened. Students now come to schools where many more adults look like and relate to them. This year in LA Unified, 37 percent of teachers are Latinos, as well as 43 percent of school administrators and 38 percent of district officials. But as a state, California, which has the nation’s largest Latino student population, also has the biggest Latino teacher-student gap, according to a report released last week by the Center for American Progress. 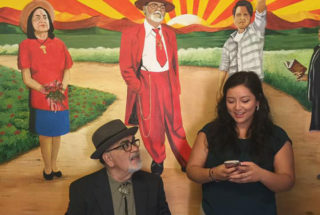 García pointed to the Latinos now leading in LA Unified as well as the investments made to build new schools and modernize old campuses like Roosevelt High School, which is getting $173-million renovation. Verdugo believes education for Latinos has gotten better for the most part. “We have young Latinos who are striving more vigorously for a better life. They see going to college as a real possibility. More Latinos are going and graduating from college, but the numbers are still poor,” said Verdugo, who dedicates his time to empowering Latino youth in East LA. While the gaps in college graduation and academic achievement persist among Latino students, Verdugo thinks it’s not only the Dreamers — young Latinos fighting to keep the protections under the Deferred Action for Childhood Arrivals program — who feel alienated. He said even second- and third-generation Latinos born in the U.S. still struggle with feeling out of place in high school classrooms and on college campuses. Verdugo himself is a second-generation Mexican-American, born and raised in East Los Angeles. Allan García, who is a senior this year at Wilson High, said that because of what the students in the Walkouts risked, he has been able to have a very different experience in the classroom compared to 50 years ago. He said he feels included, has access to a college prep curriculum, and feels proud of his legacy as a first-generation Mexican-American and the son of immigrants. But he wants to defend what Latinos have gained and to continue fighting, such as for improvements in school discipline. “We are still demanding for the school climate bill of rights to be implemented at every school in the district. We are mobilizing in support of SB 607 so the state can pass the law to reduce suspensions and expulsions,” he said. The bill aims to extend the ban on suspensions and expulsions for “willful defiance,” which disproportionately affect Latinos and other students of color. Natalie Macías, a 10th-grader at Roosevelt, appreciates being able to express her Mexican heritage at school through music. She is part of the school’s mariachi band, Mariachi Olímpico, which she calls a major part of her life. “I can’t imagine how hard it would have been for students like me to have been forbidden to express their culture or speak Spanish. It would be so hard for me,” she said. She plans to study bioengineering in college. 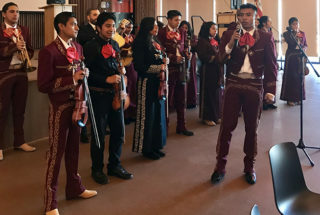 Roosevelt High School’s Mariachi Olímpico performing on Saturday at one of LA Unified’s events in commemoration of the Walkouts’ 50th anniversary. LA Unified is commemorating the 50th anniversary of the Walkouts with the “Vision 2068” initiative, which envisions that 50 years from now, in 2068, all children in Los Angeles will be prepared for and have access to the college and career of their choice. March 1 at 9:30 a.m. — Garfield High School will host an assembly featuring guest speakers including Walkouts leaders Bobby Verdugo, Yoli Verdugo, and John Ortiz. March 1 at 3:30 p.m. — El Sereno Middle School will host “Unveiling Our Roots,” a mural and plaques ceremony. March 1 and 2 at 9:30 a.m. — Cal State LA will hold a symbolic walk-in to campus by nearly 700 LA Unified high school students, as well as a historical photo and newspaper exhibit and a two-day conference on the educational legacy of the Walkouts. 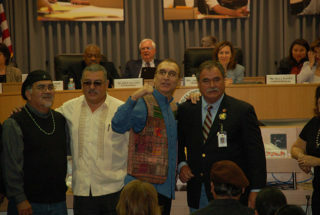 March 6 at 3 p.m. — LA Unified’s school board is holding a reenactment of the 1968 school board meeting when students stormed LA Unified’s headquarters demanding educational justice. March 10 — Maya Angelou Community High School is holding an arts festival featuring music and dance. 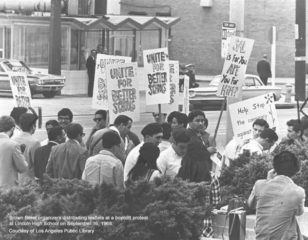 March 10 and 11 — UCLA’s Fowler Museum will host “Seeking Educational Justice: The 1968 Chicano Student Walkouts Made History,” an exhibit, conference, and a film screening. For more information, visit https://achieve.lausd.net/vision2068.